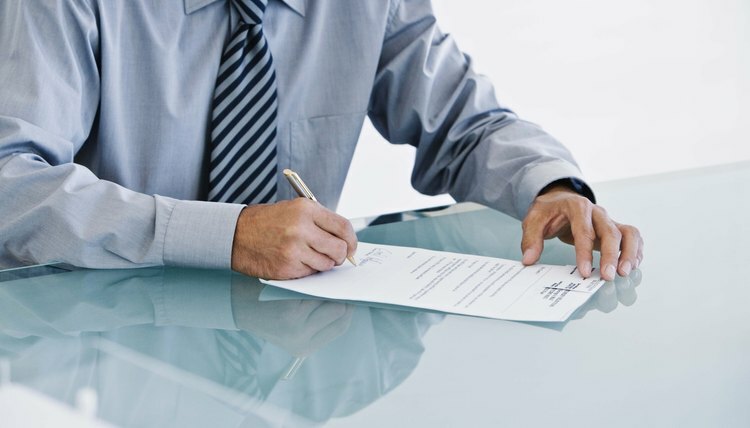 To file any paperwork in your Michigan divorce, you must meet the state residency requirement. Michigan requires that you or your spouse live in the state for the 180 days prior to filing, and in the county where you intend to file for the 10 days before you file. An exception to the 10-day rule applies if your spouse was born in another country, or is a resident of another country and there is a risk that she could leave the United States with a minor child. After meeting the residency requirement, you may initiate a divorce in Michigan by filling out a complaint. You may obtain the specific complaint form for parties with minor children from the court clerk. The complaint needs to include basic information about your marriage and children. You must also indicate that the marriage has suffered an irretrievable breakdown and that there is no likelihood of repairing the relationship; these are the only grounds for divorce in Michigan. You must also include any specific requests regarding parenting time and custody. This might include a statement that you request sole decision-making authority for the child, known as legal custody. You may also include a schedule for what days the child should spend with you and with the other spouse, referred to as physical custody. Once complete, you must file the complaint at the family division of the circuit court in the county where you or the other spouse lives, consistent with the residency rules. After filing, you must provide a copy to the other spouse. Michigan law gives the responding spouse a right of notification in person, typically by a sheriff or professional process server. Your spouse then has 21 days to file a written response, known as an answer. Once the complaint and answer are filed, the parties and the court can see if there are any areas of disagreement over property division, spousal support, and child custody and support. If disagreement exists, the court will try to resolve these contested matters on a temporary basis. You will also need to attend mandatory parenting classes if applicable. If no agreement is reached between parties, the matter proceeds to trial and a judge decides the terms of the divorce. However, under Michigan law no trial is scheduled sooner than six months from the date you file the complaint.